Riverhouse (Flipkey) We loved being away from the towns and traffic and this area is just that. Very easy to find and loved the adventure from the airport to River Estate. Everything was ready upon our arrival and we were so happy we chose this rental. Photos are exactly what you will experience at the home. The Guest House is just around the bend, only a few yards but completely out of sight. You hear the river flowing at this house, but we didn’t from our home. We could see the river quite well from inside the house. Mosquito’s are present, so we were thankful for the window screens and screened in lanai. It was never too warm indoors and only used the a/c in the bedroom for a little while when we retired. This home is meticulously clean and it is hard to see any (even normal) wear/tear on anything whether indoors or out. Mark really knows how to maintain a vacation rental home. We took extra measures to care for it. Not because we felt the need to, we always take good care of rentals but also out of respect for Mark and future guests. I want all of you to experience this home just as we did. Great mattress in the master! We did not use the other two bedrooms. If you cannot reserve River Estate, I recommend the area anyway if you want the river, beach and mountainous area. Very lush and natural surroundings. People here are are so kind and friendly. Everything you need and almost all of your wants are within a few miles of Wainiha and the close by community of Hanalei. Riverhouse (TripAdvisor) Fifteen years ago my husband and I, after a long time together, decided to get marries. We were living in California at the time and were frequent visitors to Kauai. We had seen River Estate many times on our travels and always said “If we ever get married it should be here”. So one day after our engagement I called Mark at River Estate, I told him about my plan to rent the entire property (There were 3 homes then) and having my wedding on the property. I have family from the east coast and my husband from Illinois. So people were coming from everywhere. We had some elderly people that couldn’t make a beach wedding so we thought the grounds of the estate would be better! So Mark and I worked literally for over a year. He let me put a deposit to hold the dates and Make payments! He told me about the local post office and how I should send all the decorations instead of flying with them. He even picked up my packages for me!!! We decorated the estate and had a little luau for our reception. Words can’t describe the magic of our day. Mark even came to my wedding. I never had anyone except for family and friends help me so much from so far away. He did this out of kindness. That’s the type of person Mark is.That was 15 years ago this June. We are coming back in October to renew our vows with our children. A lot has happened in 15 years ago and I contacted Mark just last week to see what was available for our week. He is just as amazing now as he was then. Sooo here we go again! I can’t wait. Mahalo Mark. See you soon!!! 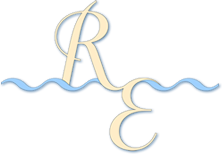 Riverhouse – Thank you for such a lovely home to open our vacation with. We enjoyed the water pressure and the kitchen was great. The beds were comfortable. The island was fantastic and we really enjoyed our vacation. ♥ Riverhouse – Aloha Mark – Thanks so much for letting us stay in this wonderful house! It was way more than we imagined…When we go places we always look forward to coming home to a nice comfortable home.In Kauai for our second (not our last) time we are lucky to get a nice house like this. This has been our favorite. Trying our hardest to keep this house nice was our intention. I hope it worked. Riverhouse – Thanks so much for the lovely home! We really enjoyed the Riverhouseand wish we could stay forever. I especially liked how the kitchen was stocked with everything a cook couls ever want – even a grill on the lanai. The bed was super comfy and the shower pressure was ultra nice. My wife loves the Tommy Bahama furniture. She now wants to get the same for our house back home.Mahakos for the memories. Guest House (TripAdvisor) I hesitate to write this review because I want this place all to myself. I keep looking at the calendar and its gets booked way in advance. My wife and I stayed in both houses during our ten day stay, and they had to call the police to drag us away because we didn’t want to leave…just kidding, but you get the picture. Both houses were immaculate, comfortable, air conditioned, and set up so that we never had any problems with mosquitos etc. which you will encounter outside at night sometimes (its a jungle folks, so…) The river house is a little bigger, and has the spa. The guesthouse master bedroom has an incredible view that will blow your mind. Our concierge, Mark, was super cool, hooked us up with everything we needed, and his warmth and sense of humor really made us feel at home. Speaking of which, the river house is MY home away from home, so just because I’m writing this review doesn’t mean you should book it…you might end up taking a week that I wanted and that would make me grumpy. ♥ Guest House – From Nico age 7 – Aloha Mark, Thank you for leting ause stay in your wonderfol hose. I love the paintings and the bedroom. It is just what I loved and I just want to saty at your wonderfol hose for ever and holidays.We also new that you live in a beautqfol plase Kua’1 thet has a lot of activites. and I love the trees you planted for mother nature mahalo!!! Guest House – Dear Mark and Future Guests, We are extremely fortunate to have had the chance to enjoy the magic of Kauai’s North shore and to live along the Wainiha river for a spell. This house has been quite a comfort for Beth and I during our here on Kauai. Playing all day and cooking/relaxing all night. This place is so special and we are blessed to share our 5 year anniversary here! All the best…Cheers! Guest House – We had a wonderful time here at River Estate. Thank you so much for all your help in planning our activities while we were here in Kauai! This is a beautiful island and we hope to be back here soon! We finally got to see Tunnels Beach where my son and daughter in law were married 11 years ago and it took my breath away. I cried the whole time I was there because I had wished I could have been there on that wonderful day! I took lots of pictures though! Thanks again for the enjoyable stay! Guest House – Aloha Mark, Thank You! Once again it has been a real pleasure. Some things just hold their value some increase in value. After 20 years we still love River Estate and appreciate the magic we experience here year after year! If we are fortunate and able we hope the next 20 years come to fruition so yes please lets book us for next year. It’s our home away from home andactually feels like we’re coming home every time we arrive. Hope to see you soon! Guest House – What a paradise this island is and this house was the ideal setting to enjoy it! We loved that the house was peaceful, well maintained and off the beaten path. Falling asleep to the river and waking up to the birds was dreamy. The north side of the island is definitely the place to stay and we’re already talking about what we’ll do when we return! Many thanks to you Mark for this amazing home, your helpfulness and making us feel welcome. We were here to celebrate our seven year anniversary and it will be one we most certainly remember. Guest House – WOW! What a fantastic home and island! This is the first of four islands for us and we sure wish we could just stay put. We spent most days on Hanalei Bay – perfect swim spot for the kids and sparklers there with the kids will be a tough act to follow in 2015. We kayaked and paddle boarded in the river and on the bay and today we had a surfing lesson. We made the drive south just to see what it was all about but are far happier with the Hanalei vibe. Thank you Mark for being such a gracious host. The house is lovely and we were very comfortable here! Our stay was like a Stan Getz solo. A perfect melodic memory with everlasting lyricism. The estate is the crown and the Guest House is the jewel in the crown. Perfect. Can we stay here forever? What a gift you give to those who cross your path. This is heaven, Thank you! Just like last time. We don’t want to go home. The positive energy of this place is contagious. A paradise in the jungle. A lifetime of memories. Couldn’t get any better than this. We Don’t want to leave! This place is everything we were looking for and then some. We drove all around the island and found nowhere as wonderful as here. This place has been perfect for our honeymoon. At first we had difficulties which we brought with us, but the healing and protecting spirits present on the property helped us to achieve harmony. The beauty and serenity of this place were surpassed only by the graciousness of our host. The ambience of the house, the estate and the island can’t be beat! Beautiful place to restore one’s self.